Erik Jensen is our multi-talented compositing supervisor. He talks about being the first employee of CVD VFX, how he started his career and what inspires him. Read on to find out more. Hi Erik! Where are you from? What's your background? I was born in the Canary Islands in Spain, in a small and beautiful volcanic island called Lanzarote. I graduated from High School at the age of 17 in 2017, when I moved to Madrid to study at ECAM, a film school there. I specialized in sound and I worked in Spain for a few years after graduating, but I was always interested in visual effects. So, I took a course and learnt some of the basics. One of my friends from ECAM had moved to Canada shortly after graduating and kept telling me great things about it. The economy in Spain wasn't the best at that time, so in 2014 I moved to Canada to pursue my career in visual effects. When did you first become aware of visual effects? My first direct contact with visual effects must have been my older brother introducing me to the original Star Wars trilogy when I was about seven or eight. I was astonished by how real everything looked in the films and couldn’t believe how it was possible to achieve something like that. Other movies that have also impressed me in the same way have been Jurassic Park, or more recently, Inception and Rise of the Planet of the Apes. With every new film I see, I’m always amazed by how photorealistic visual effects have become, and how much they’ve improved and continue to improve year after year. Can you talk about the start of your career and your favorite early projects? In 2014, I moved to Canada to study at a school called Lost Boys who have a program that is completely focused on compositing. During the program, our teachers kept mentioning Chris van Dyck as a reference in the industry. I was really excited when I found out that he was going to mentor us during the second term of the program. When I finally got to meet Chris, he mentioned that he was planning to work on an independent movie called Numb during the summer, and that he would need some help due to the amount of work – 100 shots. When he asked me to work with him, I couldn't believe it, and immediately said yes! Around the same time, Chris got the offer to work on one of the E3 trailers for Mass Effect: Andromeda, which ended up being my first project at CVD VFX. I'm still amazed about the quality work we were able to produce on both Numb and Andromeda despite having such a small team and limited resources. So you were CVD VFX's first employee, how did that come about? Being the first employee of CVD has been an awesome experience. Our first office was just a little room on the third floor of Lost Boys, the school where I studied, and I remember Chris calling me a week before I was supposed to start to ask if I wanted to help him set up the studio. The room was completely empty when we started but between Chris and I we set up everything; all the stations, network, cabled all computers, etc. Since that day I’ve always felt super involved with the company and I’m proud to see how far we’ve come in the last three years. What is your primary role at CVD, what does that entail, and what are your strongest skills? I'm now one of the Compositing Supervisors at CVD VFX. That means I'm in charge of setting up the shows, creating tools depending on the project or studios needs, checking in with artists, setting up the look for a sequence, and QCing (quality control) shots. Basically ensuring the project is on schedule, and making any changes if necessary. I’m doing all of this while also trying to find time to work on my own shots too! Luckily I’m a pretty good multitasker, and even if I get stressed at times, I really enjoy my job. I think that multitasking and problem solving are probably my strongest skills. Tell me about some of the projects you've worked on at CVD, anything stand out? We have worked on some really awesome projects considering how young and small the studio is. Mass Effect: Andromeda, and more recently the feature film 12 Strong are projects that I'm really happy to have been a part of. 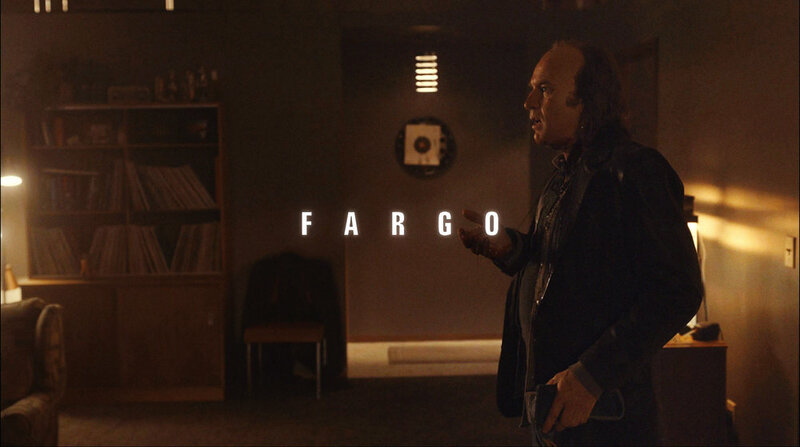 But, if I had to pick a project I was most proud of, I’d say Fargo and Westworld. What do you think 2018 holds for the VFX industry? New technology is revolutionizing the work we do and it is constantly improving the tools that we have. I expect this to keep evolving and we, as artists, will have to keep up with these changes and never stop learning! My parents have always been an inspiration to me, I really look up to them, and because of that I’m always striving to improve my skills and knowledge. I sometimes look back a few months or even a year and I wonder how much progress I’ve made, or whether I was happy with my choices, if there was anything I could have changed, and how I can learn from my mistakes and maximize my strengths. What do you like to do outside of work? Any hobbies, etc? I recently started learning piano again, I used to play a bit when I was a kid but then I quit and I always regretted that decision. I also really like board games too. I grew up playing a lot of video games with my friends, but I find that most nowadays are either online or single player, so board games are perfect for playing as a group! I also enjoy reading, listening to music and never say no to a good movie or TV show.